April 8-12 is Week of the Young Child. 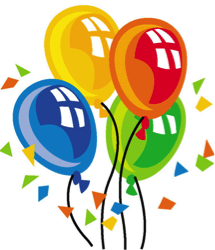 This annual celebration is sponsored by the National Association for the Education of Young Children (NAEYC), the nation’s largest organization of early childhood professionals with more than 80,000 members and a network of 300 local, state and regional affiliates. 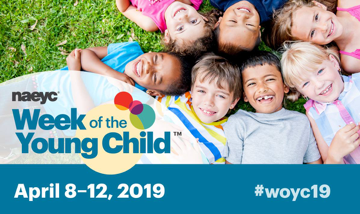 The purpose of the Week of the Young Child is to focus public attention on the needs of young children and their families and to recognize the early childhood programs/ services that meet those needs. NAEYC established the Week of the Young Child in 1971, recognizing that the early childhood years (birth through age 8) lay the foundation for children’s success in school and later life. We think that a week is too short, so we will be celebrating our children & families throughout the month of April! Friday, April 5 Twins Day! Thursday, April 11 Hat Day! Friday, April 19 Pajama Day! Wednesday, April 24 Mismatch Day! 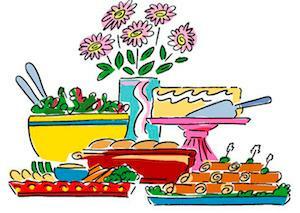 We would like to honor our fantastic teaching staff with an appreciation luncheon on Tuesday, April 23. A Sign-Up Genius email will be sent to you in early April. Feel free to drop off your food item in the morning. Please make sure to label any dishware you bring in, so we can return it to you (dishes will be returned at the end of the week). The teaching staff look forward to this each year and greatly appreciate your thoughtfulness. Join us for our 2019 Mini Prom Family Event on Thursday, April 25, between 5 and 6:30 PM. We will have a rockin' good time with our DJ for the night. A light dinner will be served. Feel free to dress up for the occasion--and we will crown our little Prom kings and queens upon arrival. We hope you can join us! Wonder Weavers Storytellers visits our center on Monday, April 22, for their “Everyday is Earth Day” presentation. They will share new stories and old tales that teach children ways to care for nature, the environment, and our world. The PACER Center is an organization dedicated to championing for children with disabilities and their families. Their goal is to expand opportunities for these children and families so that each one may reach his or her full potential. The PACER center will be doing a special performance for our Grizzly Bear and Polar Bear groups (the presentation is appropriate for ages 4 and older) on Tuesday, April 9 , at 10 AM. 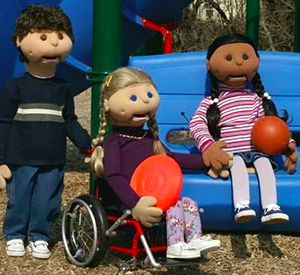 The COUNT ME IN puppet program is designed to help children and adults learn about disabilities and chronic illnesses in an effort to bridge the gap between typical students and those with disabilities. COUNT ME IN features three endearing, child-size, multicultural puppets that portray children with disabilities. These puppets have proven to be effective communicators of the message of understanding and acceptance, helping to dispel fears, myths and misconceptions about persons with disabilities. We are looking forward to the show! 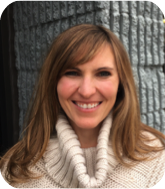 Anna and Samantha will be out of the office Wednesday – Friday, April 10-12, for a director’s conference. 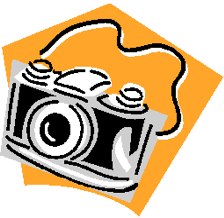 Lifetouch Photography will be taking individual, sibling & class pictures on Thursday, May 2. Parent/Teacher conferences will be held in early May. More info in the May newsletter. EFC will be closed on Friday, May 24, for our Spring Teaching Staff Development Day, and Monday, May 27, for Memorial Day. We are excited about what’s to come at Especially for Children this summer! We plan to spend a lot of time outdoors, taking advantage of the warmer weather months. If you have any summer vacations planned, please fill out this THIS FORM to let Anna and Samantha know what dates your child(ren) will be gone. Thank you!